so i had to do something to break up the three incredibly LONG and word-filled posts. 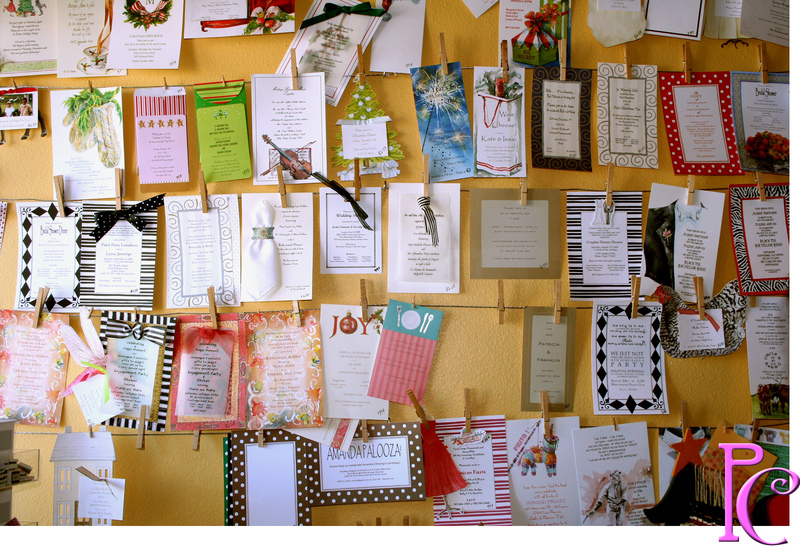 here’s a picture i took of the invitation wall at my mom’s florist. she gets these samples sent to her, from somewhere in arkansas, for the display, actually printed up with “fake” events and parties. there are soooo many hilarious references to the clinton family. i should have taken better notes, so i could have done a better job entertaining you. but alas, enjoy. the journey of a big sister. so I just decided you need to fly over here and help me decorate my new classroom. I am just at a loss of what to do with it.